Check out my Chess Podcast! Hello, everyone! Thanks for checking out my web page. 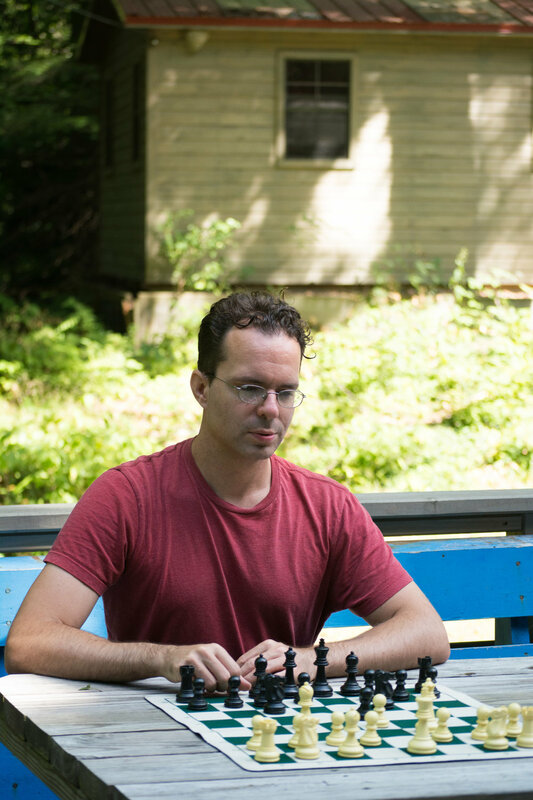 I'm Ben Johnson, a chess teacher and chess player based in Princeton, NJ. I teach chess because I love the game, and I believe that all kids can benefit from learning to play chess and absorbing the life lessons that the game imparts. I have experience in teaching chess classes, leading after-school clubs and organizing and managing camps for kids of widely varying ages, skill levels and socio-economic backgrounds. Coached at National Elementary School Chess Champion CES 70 in the Bronx, in addition to 10+ other schools. Formerly employed and trained by Chess in the Schools in New York City, the largest chess education non-profit organization in the world. Most recently (2015-2018), I taught chess in 9 different schools in the Pittsburgh area, and co-founded and organized a few popular chess camps. In March 2018, I moved to Central New Jersey, with my wife and 2 young kids, and I sense have begun teaching and running chess programs at Lawrenceville Elementary, Princeton Day School, Eldridge Park School and Princeton Junior School. For more information about my after school programs, go here. I offer services ranging from after-school chess clubs, to curriculum classes, to private lessons. I also am a USCF certified tournament director. I'm a graduate of Pomona College, where I studied Russian and Politics. Outside of chess teaching, my interests include hosting my popular chess podcast, sports, running, reading, and most of all, spending time with my family. If you are interested in private, group, or classroom lessons, please contact me. Colfax Elementary won first place at the Pittsburgh City Championship in April of 2017!